…everyone knows Kesha but did you know her career could be over?! I was just reading through music news yesterday afternoon and what caught my attention the most was a legal update from Kesha (used to be Ke$ha but she’s dropped the “$”). I know what you may be thinking…Legal update?! Yep! You heard me right! Kesha has been in a rather heated lawsuit with her producer, Dr. Luke, since last October! Nearly a year of legal proceedings and no resolution has come of it yet! I used to side with Team Kesha, but now I’m not so sure. It’s her word versus his so I’m honestly not sure of whom to trust. Team Luke or Team Kesha? 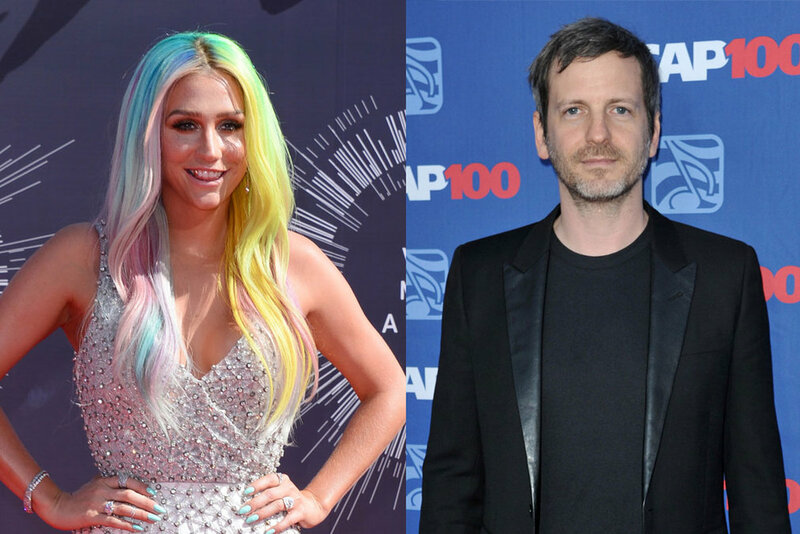 The lawsuit is…long story short…claiming that Dr. Luke drugged, raped, and mentally abused Kesha on multiple occasions so she is asking to get out of her record contract with Luke’s label Kemosabe Records, a Sony Music affiliate. Problem is, Dr. Luke claims hogwash to every one of her allegations and wants her to hold to his many times renegotiated record deal that holds Kesha to release 6 albums! Well, she’s only released 2 so far! I can’t believe that Kesha hasn’t released an album in almost 3 years! That’s crazy!! I’ve been a fan of her since the beginning when I first heard “Tik Tok”, I’ve seen her front row twice, and met her once! I was an “animal” HAHA Just like Lady Gaga has her Little Monsters, Demi Lovato has her Lovatics, and Justin Bieber has his Beliebers…Kesha has her Animals. The reason why everyone was whispering yesterday about her career might be ruined, kaput, and effectively over is that unless Kesha gets an injunction (via Google: a judicial order that restrains a person from beginning or continuing an action threatening or invading the legal right of another, or that compels a person to carry out a certain act, e.g., to make restitution to an injured party) she won’t have creative control over her career and the alleged abuse with Dr. Luke will have to continue for 4 more albums until she can be set free from the contract! 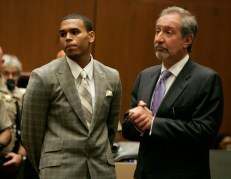 Remember he represented Chris Brown? I’ll be honest, I don’t think it’s looking too good for Kesha and for that I’m very sad. Now granted, if the abuse is legitimate, she shouldn’t have to succumb to it for 4 more albums BUT she didn’t report it at the time and I know the statute of limitations states that you have 3 years to sue someone from the time the abuse happened, BUT she said nothing to the label about his conduct which really hurts her case. Artists and bands have tried to weasel their way out of recording contracts for years, and Kesha’s lawsuit doesn’t stand strong enough to prove that she’s not doing the same. I hope there will be an answer soon and a decision made. Like my mom always used to say, “The truth will set you free”…but the longer you sit with a lie, the more lies you have to tell until you’re so tangled in a web and are trying to convince anyone that you’re not lying. It’s like the little boy who cried wolf. Don’t get me wrong, I loved Kesha and still love her as a person and a recording artist, but this kind of conduct is inexcusable. Let’s hope for a decision soon and may it be fair under the law! Axwell & Ingrosso split with longtime manager!